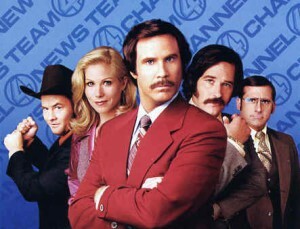 The Anchorman sequel has fallen through the Hollywood system. Paramount has deemed it’s request for a $60 million dollar budget as too much, and have canceled all plans for the project. Although, director Adam McKay has discussed with CHUD that the sequel was going to start with a four month run on Broadway, and then begin filming A little ambitious? However, McKay said the plan was too costly, and there was not enough money in it for the actors. The $60 million dollar budget did not fit in with Paramount’s budget modeling, and the studio was not willing to take the risk. “I selfishly want to do it again just for the fun of it. And I think it could be as playful and as fun as the original,” said Steve Carell. I think that Paramount might have made a big mistake. The first film is a set feature in pop culture these days, and it would have been much bigger than the first film. Although, I can’t help but think that Will Ferrell’s last few films had to be a contributing factor, especially since they have pretty much all underperformed. What do you think? Did Paramount make a mistake by not letting this idea go through? Let us know in the comments!